She is often found roving the Japanese countryside, meeting with those who opt to farm using traditional natural methods. Rice that is grown without the use of pesticides, herbicides, fertilizers, and sun-dried just as it should be. And not unlike wheat, heirloom and ancient varietals, farmed like they used to. It is truly a labor of love. This farming style respects our Mother Earth, and leans on the poetry that is the Japanese micro-seasonal calendar. From the hundreds of varietals and farming regions across Japan, RICE GIRL hand-selects rice and creates seasonal blends to celebrate each micro-season. From north to south, KIKI MUSUBI roves the Japanese countryside, sourcing rice by region, varietal, and farmer. 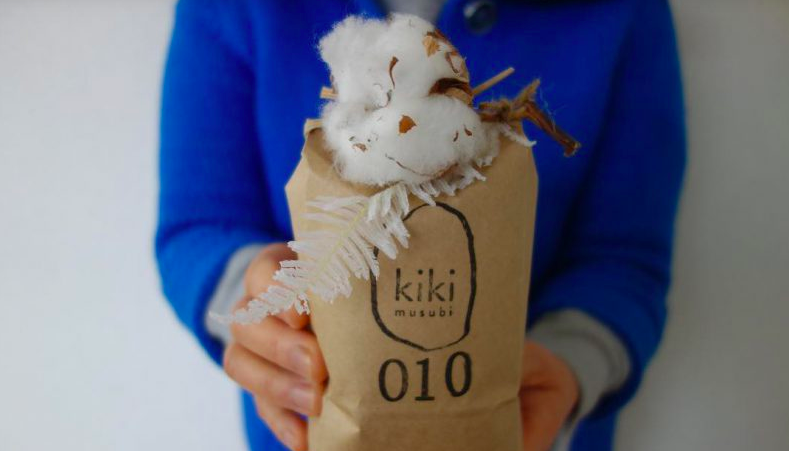 KIKI MUSUBI selects rice by texture and aroma, based on the Japanese micro-seasonal calendar of 24 seasons in the year. All KIKI MUSUBI rice is grown using traditional Japanese shizen farming practices - without the use of pesticides, herbicides, or fertilizers. ➀ First, scoop as much rice as you’d like and place it in a bowl, adding loads of water, stirring clockwise, gently by hand to clean. ② Drain the water and repeat two more times. ③ Transfer the rice to a heavy deep cast iron or clay pot, and add use the same measuring cup to add twice as much water as rice. ④ 【SPRING：Medium heat】Take about 10 minutes to slowly bring the rice to a boil. ⑤ 【SUMMER：High heat】Turn to high heat for about 1 minute, add a pinch of salt clockwise into the pot, and let the rice dance wildly. ⑥ 【AUTUMN：Low heat】Turn the heat to low, and place the lid on the pot for the first time. ⑦ 【WINTER：Heat off】After 30 - 40 minutes, take the pot off the stove and let it sit to steam for about 10 minutes. ⑧ Remove the lid, cut the rice in quarters and flip each quarter to fluff. ⑨ Immediately transfer the rice to a wooden bowl.